I don’t know anything about this first-hand, but I see people complain about iOS5 on Twitter. And it occurs to me that in the quest to make their product an object of desire (an effective well-executed plan, by the way) that all the cool kids simply must have on release day, they have created a sizable risk to their reputation. Without having purchased any Apple product, I already know not to buy version 1.0 of whatever they ship… and if the product isn’t technically outstanding on release day, their reputation suffers, deservedly. What’s amazing is that the desire machine continues to trump a buggy release. How long can that continue without weakening the brand? 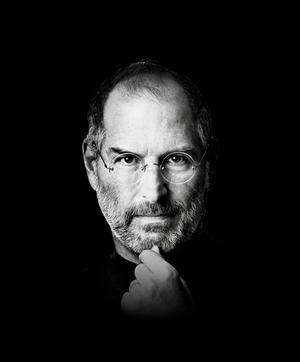 I’m perhaps not the best judge of how soon is “too soon”, but in the wake (no pun intended) of the outpouring of love and accolades for the late Steve Jobs, there are some beginning to talk about the dark underbelly of Apple, and the less public side of Jobs himself. Apple is Bigger than Jesus… or the Beatles. I agree — just take a look at the context he gives it. Do you really think that Apple is worth over $200 Billion today?